I bought the Bawls at Shoppers Drug Mart for $2.99 (CDN) for 300 ml. I actually bought it on Wednesday, but I didn’t end up drinking it until Friday night, at Robarts library, around 10 pm. I’d had a Coke but that wasn’t really helping. It tasted sort of like a very mild cream soda, just sweet and carbonated. Came home, took a bit of a break, then continued studying. I didn’t feel sleepy at all, and once I started working again I could concentrate pretty well. Unfortunately a few hours later I did get the shakes, which happens to me sometimes when I drink coffee. Anyway, I ended up going to bed around 4 am and tossing and turning a bit before I could get to sleep. So…it did keep me awake, and would I drink it again? Sure, but only well before the night before the test – I’d need to be able to get some sleep that night! 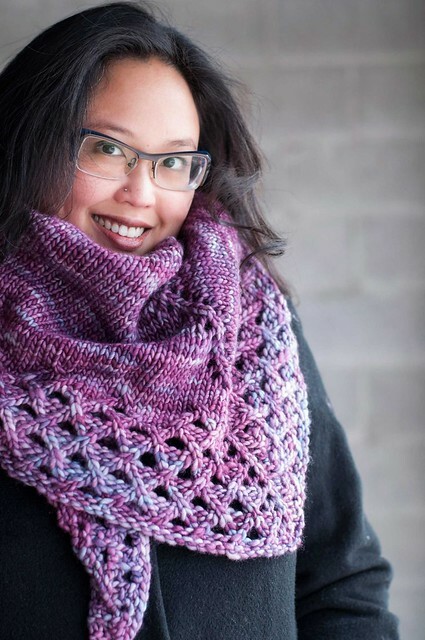 Knitting content: I finished the grey and cream scarf, and now I am officially sick of that type of scarf (even though it’s thick and lovely and I want one). It’s too bad that the scarves I have remaining are all men’s – no lace or anything. I think I will do the next ones lengthwise, though. Oh, and I nixed buying yarn for my cousin – I looked through my yarn and found some sari silk, so I think I’ll put that with some black wool and make a lengthwise long skinny scarf. As a break from all the scarf knitting, I think I’ll concentrate on mini-charlotte for a bit. She’s been waiting patiently.